Find Top Rated schools in Rosenberg, Texas with the search tool offered by Walt Temple Properties of Katy.. This is a list of schools in Rosenberg, ranging from Preschool, Elementary School, Middle School and High School. 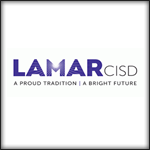 Rosenberg is also served by Lamar Consolidated Independent School District. Lamar Consolidated Independent School District is the fastest growing school district in Fort Bend County and enrolls over 27,000 students. Lamar Consolidated also it’s highest possible academic honors in 2013 from the Texas Education Agency. Lamar CISD serves schools in Richmond, Texas and includes almost 43 percent of Fort Bend County, covering the cities of Richmond, Rosenberg, Kendleton, Simonton, Thompsons, a very small portion of Sugar Land, most of Fulshear, the village of Pleak, the community of Lakemont, the unincorporated areas of Booth, Crabb, Cumings, and Foster, and most of the unincorporated rural areas (including areas in Sugar Land’sextraterritorial jurisdiction (ETJ) in central Fort Bend County. Wharton County Junior College serves the Richmond area.